Aero system has changed a bit, slowing the plane a bit down. New top speed stock aero: 77.7m/s (funny!). Adjusted aero: 163.4m/s. Removed the airbrakes. Why did I place them in the first place, changing the propeller pitch is enough! You’ll get best results out of this airplane if you install V.O.I.D. so you’ll have an engine speed readout. Just like real life, a propeller has an optimum blade angle for every speed. Propeller speed too high means too much drag/pitch angle too low. Propeller speed too low also means too much drag but angle too high. For anything with turboshaft engines, stock drag is too high. 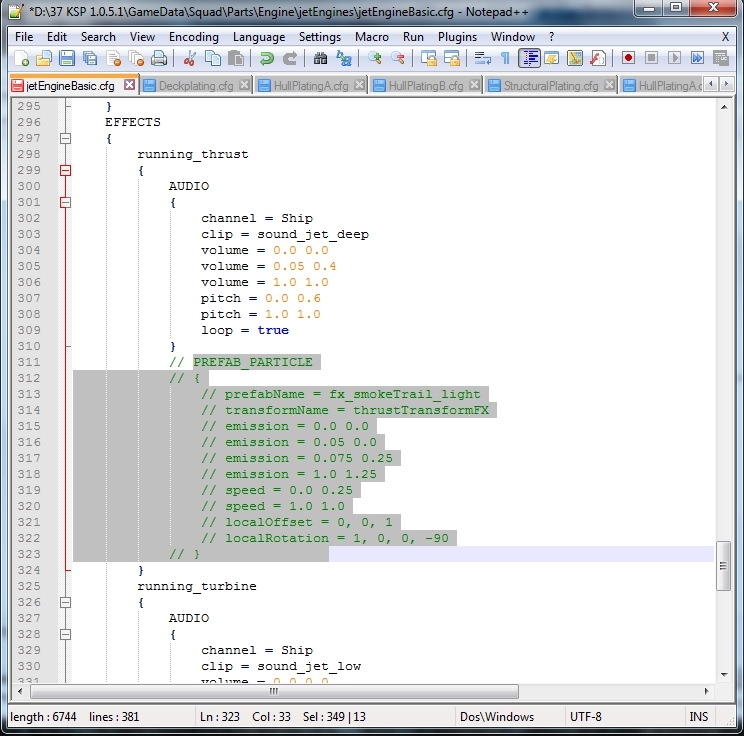 Use the F12 menu -> Physics tab -> Drag tab, set Global Drag Multiplier to minimum. This engine/propeller setup has an optimal speed between 47.2 - 49.9 rad/s. It will provide best fuel economy and speed. Tanks are full, for aerobatics and high speed you need to fill 10 - 25%. Throttle at max, keep the propeller running at peak efficiency (48.5 - 49.9 rad/s), use both blower stages. Keep the propeller running at peak efficiency (47.2 - 48.5 rad/s), switch off first stage blowers. This is better than reducing throttle, first of all FPS increases while the more efficient second stage provides better fuel economy. Set propeller pitch low (watch engine speed!) to increase drag. Use (AG 4) to toggle the airbrakes. Built as a STOL. The aircraft is very easy to fly at all speeds and all attitudes but … the bearing doesn’t like large control inputs at low speeds and jerky movement. Switch off engine, set friction control on high on the bearings, use (AG 10) to brake the turbine shaft and use parking brake for the wheels. Only save when the turbine shaft has stopped rotating! When saving, make sure the focus is on the airplane, not the turbine shaft. Pilot assistant controls the first craft it focuses on when loading a saved game. 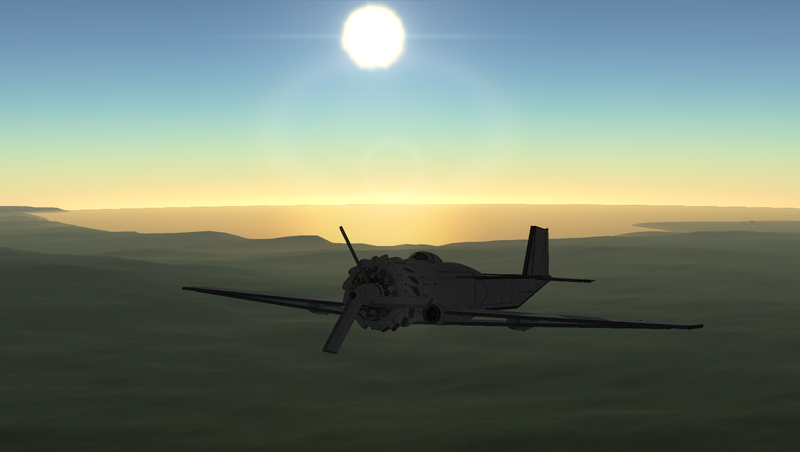 A stock aircraft called 77I-Azi13 Stock Turboprop Flight Around Kerbin. Built with 272 of the finest parts, its root part is mk3FuselageLF.25.